Watch our testimonial video about working with us. Some amazing clients provide testimonials on their experience working with us to sell & buy their home. Listen as they describe the professional services, breadth of technology and innovative marketing plans utilized to ensure them a smooth and successful sales process. "Their service eased all the stress in making the best purchase decision"
We are very pleased with the realtor services provided by Nancy and her team. In addition to being highly professional and well prepared, they show high client care by prioritizing our needs as clients. Thank you Nancy and Steven for the successful sale of our property in an ever changing market. In addition to the sale of our property Steven was tremendous in navigating us through our follow up town house purchase. "Nancy is a great negotiator and helped us all the way through"
I am highly recommending Nancy Fong, if you are in need of a realtor. She is very professional and always gets back to you in a short time. If she does not have an answer to your question, she will find someone who can answer it. Her recommendations were very helpful. She was a great negotiator when trying to close the deal and helped us all the way through, from the initial meet and greet, the viewing and the purchase. Nancy and her colleague, Steven, excelled with their services. This is now the second time that Nancy assisted us with our properties. They went above and beyond our expectations to facilitate the realty processes. We couldn’t be happier with the results achieved. I highly recommend Nancy and her team. 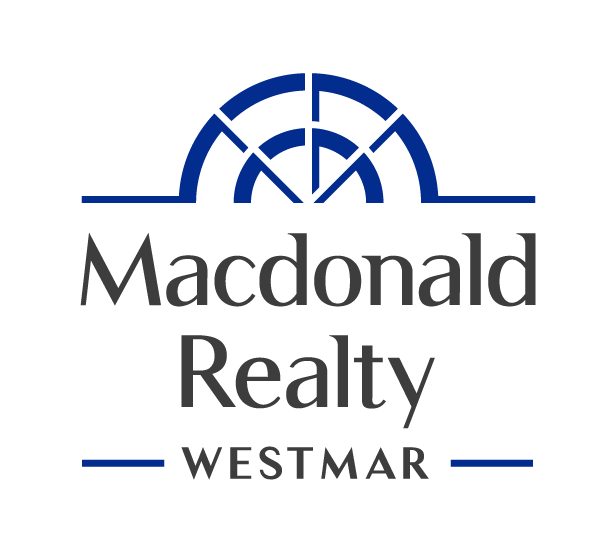 "Nancy is the best real estate agent I met in Vancouver"
She is very knowledgeable and very precise. I like to way she does things and everything is done. Even a place where it is a challenge to sell makes it like a cakewalk for Nancy and Associates. The best was Nancy knows how to communicate with customers. Unlike other realtors they just gives a lot of promises and nothing comes out of it. Nancy is very detailed person and you will not go wrong with her for a realtor. If i have lots of cash for investment, she would be my realtor agent for life! Nancy and Steven sold my home in just a few weeks at the price that I asked for and helped me with the purchase of my new home. From the minute that I have met Nancy I knew she was the perfect agent for me. I admire her honesty, professionalism, preparedness, communication skills and her vivid personality. Nancy introduced me to her recommended professionals who helped me from the start to the finish, from mortgage pre - approval to inspection and final closing. Steven Lau works closely with Nancy. His attention to detail and knowledge of the industry is incredible. Steven worked extra hours to show my home to clients. He also helped me learn about my new property and prepared all of the necessary paperwork. Steven and Nancy were hard working, responsive, and looked out for my best interest. I never knew how much went into selling and buying a home and I’m so glad to have had professionals like Steven and Nancy in my corner with resources they brought with them. I would highly recommend this real estate team who made my transition all so easy and painless. I am forever thankful." by Nancy and her group. In addition to being highly professional and well prepared, they show high client care by prioritizing our needs as clients. Thank you Nancy and Steven for the successful sale of our property in an ever changing market. In addition to the sale of our property Steven was tremendous in navigating us through our follow up town house purchase. His patience, calmness and thorough knowledge of the market eased all the stress in making the best purchase decision. Thank you!" I am highly recommending Nancy Fong, if you are in need of a realtor. She is very professional and always gets back to you in a short time. If she does not have an answer to your question, she will find someone who can answer it. Her recommendations were very helpful. She was a great negotiator when trying to close the deal and helped us all the way through, from the initial meet and greet, the viewing and the purchase. Nancy and her colleague, Steven, excelled with their services. This is now the second time that Nancy assisted us with our properties. They went above and beyond our expectations to facilitate the realty processes. We couldn’t be happier with the results achieved. I highly recommend Nancy and her team." I have had the opportunity to have Nancy Fong and Steven Lau as my agents to sell 2 separate properties and both were proven successful. Dedication, experience and knowledge is forefront with this strong team of Nancy and Steven, I would recommend to anyone to use Nancy and Steven." We are so blessed to have Nancy and her team to sell our condo. Our unit got sold within 1 week on the market! Nancy and Steven are very professional, efficient and always inform us every step of the way. They also genuinely wants to get to know us as a family and working on our best interests. Nancy's photographer also awesome and very professional. Nancy and her team made sure the sale as smooth as it can be. We wish you and your team best wishes and looking forward to work with you again in the future!" Nancy is a very professional Realtor. Nancy is the best real estate agent that i met here in Vancouver, BC. My experience with Nancy Fong was outstanding! This is one of the best realtor that we had so far. She works hard and helped us sell our condo in record time and at a record price. We couldn't have done it without her! She was always responsive and there to reassure me through the whole process. Thanks Nancy! She really puts her clients first and goes above and beyond for them. She is quick and efficient. I highly recommended her to all of my family and friends and would recommend her to anyone looking for a professional, hardworking, thoughtful, etc. realtor to get the job done right! She is absolutely amazing! We are very pleased with the realtor services provided by Nancy and her team. In addition to being highly professional and well prepared, they show high client care by prioritizing our needs as clients. Thank you Nancy and Steven for the successful sale of our property in an ever changing market. In addition to the sale of our property Steven was tremendous in navigating us through our follow up town house purchase. His patience, calmness and thorough knowledge of the market eased all the stress in making the best purchase decision. Thank you! She is very knowledgeable and very precise. I like to way she does things and everything is done. Even a place where it is a challenge to sell makes it like a cakewalk for Nancy and Associates. The best was Nancy knows how to communicate with customers. Unlike other realtors they just gives a lot of promises and nothing comes out of it. Nancy is very detailed person and you will not go wrong with her for a realtor. If i have lots of cash for investment, she would be my realtor agent for life ! Nancy and Steven sold my home in just a few weeks at the price that I asked for and helped me with the purchase of my new home. From the minute that I have met Nancy I knew she was the perfect agent for me. I admire her honesty, professionalism, preparedness, communication skills and her vivid personality. Nancy introduced me to her recommended professionals who helped me from the start to the finish, from mortgage pre - approval to inspection and final closing. Steven and Nancy were hard working, responsive, and looked out for my best interest. I never knew how much went into selling and buying a home and I’m so glad to have had professionals like Steven and Nancy in my corner with resources they brought with them. I would highly recommend this real estate team who made my transition all so easy and painless. I am forever thankful. With our local expertise and years of experience, we'll help you with every step. We offer a cutting edge, innovative marketing package that can't be beat.